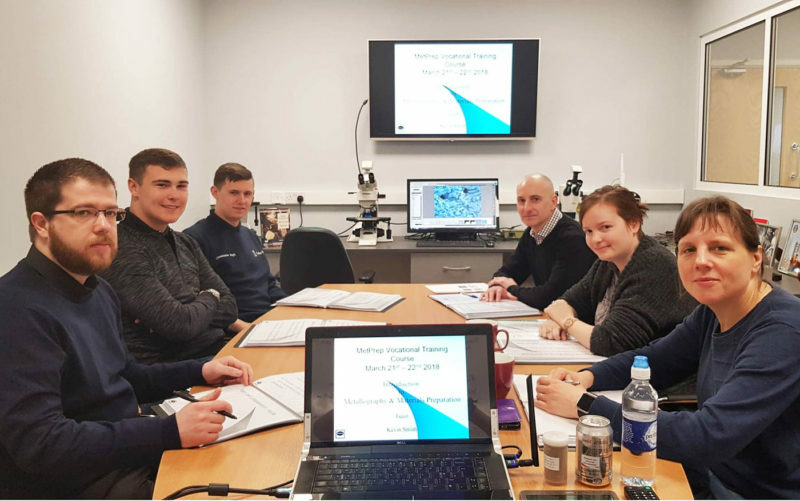 The Introduction to Metallography & Materials Preparation Course (IMMP) addresses all aspects of Metallography and Materials Preparation from first principles. This two-day course includes areas relating to specimen selection, information recording, sectioning, encapsulation, manual preparation and controlled semi auto preparation. In addition insight into the correct operation of the Materials Microscope will be covered. The course is ideal for a new starter in the area or someone whose position has recently undertaken these responsibilities. It is also useful for those wishing to refresh their understanding and consider new thinking. On completion the delegate will have gained a technically competent grounding in the fundamentals of Materials Preparation plus the correct approach to safe operation in a laboratory environment.